The exterior of your property is always working for you. Your roof and walls keep heat in, cold air out, blocks the wind and rain and keeps you safe. That is a full-time job with little reward! In the same way that people do, your roof gets overworked and can use a hand. 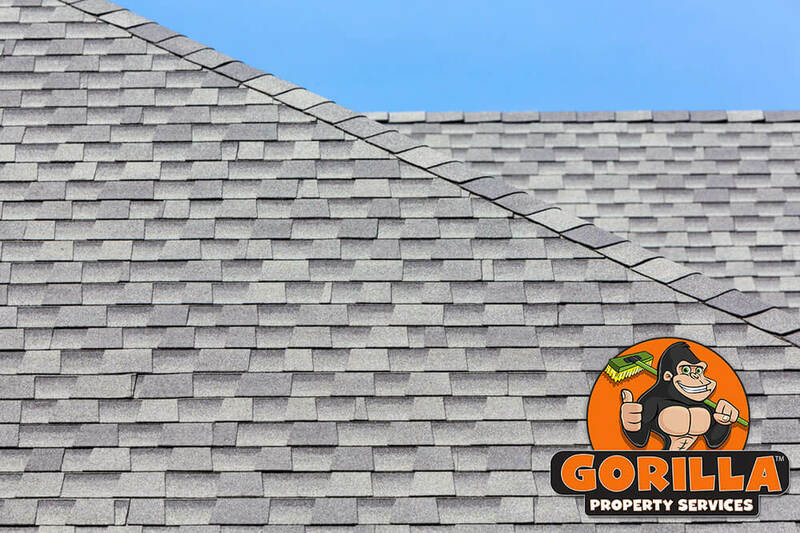 When you are noticing your roof falling behind on its workload, call a Gorilla to help! Clutter and moss growth are keys signs that your roof is in need of a London roof cleaning and moss removal. Roof cleaning might be on your ‘to-do’ list but it is often bumped downward in terms of priorities. Your roof is easy to ignore but with every day that passes by, more and more clutter is building across surfaces. Roof clutter can come from just about anywhere but it is often the result of surrounding plant life. In a naturally beautiful environment like Ontario, leaves, sticks, needles, seed pods, pinecones and everything in between falls onto your roof. As this clutter layers over itself, it retains moisture. Extra moisture can lead to moss growth, which opens the door on a host of other problems. Moss spreads over and under shingling, reaching the most sensitive areas of your roof. 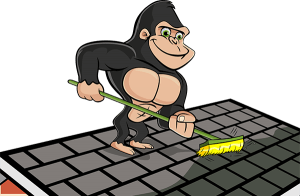 Don’t put the structural integrity of your roof at risk when there is a Gorilla ready to save the day with our London roof cleaning and moss removal. Clutter can be picked up and carried away but moss removal is a bit trickier. When moss begins to spread across the surface of your roof, it begins to deteriorate your roofing materials. Trying to remove moss through scraping or force can damage decking. In an ideal environment, your roof would last forever but it is only through routine cleanings that you can extend its life. Save yourself unnecessary repairs or replacements with a semi-annual London roof cleaning and moss removal. Our Gorillas approach invasive plant growth in a way that removes all traces of moss without causing any damage to your property.